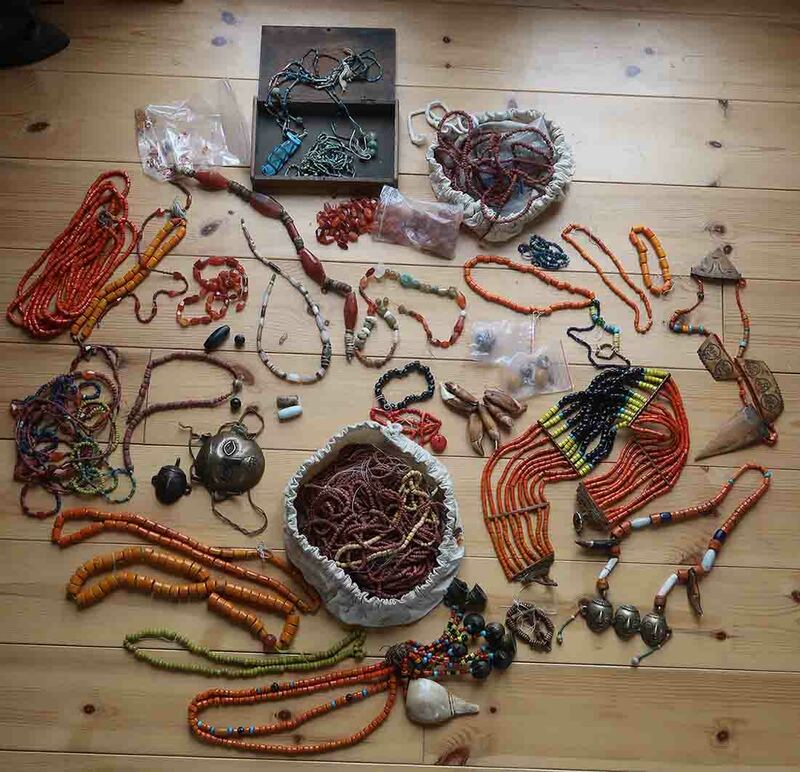 I have this small collection of beads that has been collecting dust in a cupboard for many years now! I collected them in the 80s and 90s whilst traveling though the Himalayas and SE Asia plus a couple of pieces from Egypt (in the box at the top). Most pieces were bought in Nepal, Nagaland, and I spent over a year in Java, Indonesia. I'm not sure what any of it is worth... I collected things because I liked them...if you can see anything that interests you, please drop me a message... I'm open to any reasonable offers... I can take more specific photos if necessary... I had to resize the photo to under 256k so it's a but pixelated.